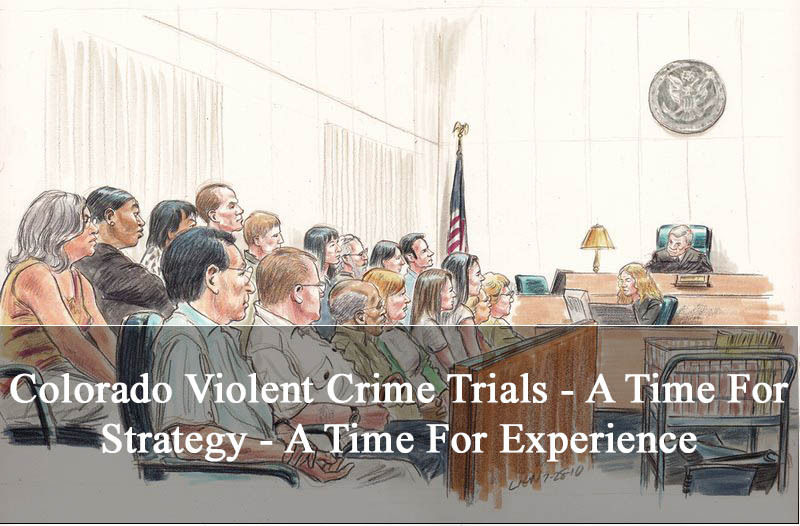 Colorado Violent Crimes – A Time For Strategy – A Time For Experience – A responsible approach to locating and retaining the best Colorado criminal defense lawyer for your violent crimes case is difficult and at times might be … quite frankly …intimidating. This article addresses some of the factors that should help you choose the right lawyer for your case. If you have been charged with a violent crime in Colorado you may be in panic mode. Whether the charge is homicide, sexual assaults, felony assaults, aggravated robbery or felony domestic violence, your internet research has demonstrated that you need to retain the services of an experienced criminal defense lawyer. This is not a time for amateur representation. Because you are literally entrusting the rest of your life to your new lawyer, you need to understand that not every Denver Colorado criminal defense lawyer who is willing to take your case is capable of defending you. You can be assured that Colorado District Attorneys practicing at this level will be highly experienced and well seasoned. 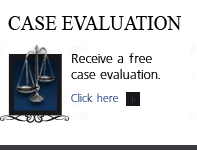 You need to select a lawyer who can meet these prosecutors and practice Colorado criminal law at – or above – that level. If you are going to obtain the maximum best result in your case – you will need a criminal defense lawyer – whether you in intend to take the case to trial or negotiate a fair plea bargain – who has the level of courtroom experience to make it a fair fight. The Steinberg Colorado Criminal Defense Law Firm is headed up by Attorney H. Michael Steinberg. H. Michael who has successfully prosecuted and/or defended thousands of the most serious Colorado violent crimes over the last 35 years. H. Michael Steinberg’s level of experience includes prosecuting and defending the most serious of felonies, including First and Second degree murder, vehicular assaults and homicides, manslaughter, felony sexual assaults, armed robbery, domestic violence, felony assaults, felony child abuse as well as felony weapons charges, felony arson, felony kidnapping, and every other permutation that can charged under the Colorado adult criminal and juvenile codes. Because of the impact of mandatory sentences to prison upon a conviction in Colorado Violent Crime cases they pose the greatest of all threats to your freedom. Colorado violent crimes charges can tip the scale of justice to the State by driving the fear of mandatory prison into plea negotiations should the accused take the case to trial and the result be a jury conviction. Certainly every criminal case has its challenges, but mandatory sentencing laws make Colorado violent crimes cases among the most challenging to defend. Colorado District Attorneys well know that the fear of mandatory prison – that is – laws that take away a Judge’s right to sentence individually and fairly in the given case, is the Government’s strongest card to play. The prosecution intentionally uses a Defendant’s real fear of that mandatory sentence – by starting the fear game as early as the intentional decision to “overcharge” the case by adding a crime of violence count to the case knowing well that the mere threat of a conviction on that count will drive an unfair plea bargain and not a trial on the merits of the case. An experienced Colorado criminal defense lawyer not only understands these challenges and is best capable to overcome them, he or she has time worn strategies to take the case to trial while minimizing the risks to their client. Juries are made to understand how the State has overcharged the case as a tactic to take away a Defendant’s right to trial. Every experienced criminal defense lawyer knows that trials in violent crimes cases are all about emotion. While the State has the burden of proving the violent crime charge beyond a reasonable doubt as in all criminal trials – violent crime trials focus heavily on the people involved. The trial is more about two different versions about the facts of the case than most other criminal cases. The best Colorado criminal defense lawyers know that from jury selection, through opening statements until closing arguments – a violent crimes trial involve a passionate belief in the client’s case. The key then to a successful result is to spend massive amounts of time preparing for each phase of the trial. There is no substitute for putting in the necessary pre-trial preparation time given the volatility of these cases. Real trial lawyers win trials through a defense theory that explains the evidence and causes thoughtful deliberating jurors to question the District Attorneys’ interpretation of that evidence. Juries are made of people – people are made up of emotions and they commit to one side or the other almost immediately from the very start of the trial – usually after the Opening Statement. 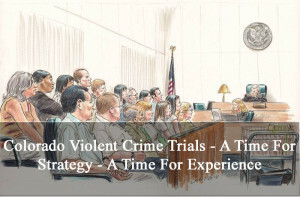 Because violent crimes consist of disturbing accusations, difficult testimony, painful injuries and wounds and violence that often involves weapons, the Colorado criminal defense lawyer must try to uses that emotion in favor of the Defendant and against the State – attacking the “human factor” weaknesses in the Government’s evidence. The most compelling evidence, the kind of evidence that “humanizes” the accused – is often sourced from the client himself. The Defendant is a human being whose life is a story that should be told directly and indirectly to the jury – not only by the defense lawyer – but by the witnesses testifying at trial. There is a moment, after the State’s witnesses have testified on direct examination, when the criminal defense lawyer stands to begin cross examination. It is at this moment that all of the preparation and professional experience of that lawyer is brought to bear. The alleged “victims” of Colorado violent crimes must be discredited at trial. A poorly investigated case must be torn apart at trial. Arrogant “seasoned” detectives who have had years to perfect their testimony – must be dismantled slowly in front of the jury. They call this the “crucible of cross examination” and it is not a place for the neophyte lawyer. A trial is not a classroom – and it is not the place to “get experience” at the expense of the client. Most great criminal defense trial lawyers obtain their experience as former prosecutors or public defenders. To win these difficult cases, the lawyer must already have a proven record of breaking alleged victims, exposing the fault lines of investigations, and scientifically exposing the flaws Government’s forensic evidence, if any exists. The impact of sitting in a Colorado courtroom to one accused of one or more violent crimes is one of the most frightening experiences anyone can experience. Nothing can prepare a Defendant for the fear that overtakes a Defendant. The serious look on the Judge’s face, the discomfort of the jury at this strange environment of this place, the prosecutor’s arrogance and overconfidence, the harsh glare of the lighting.. everything combines to make the scene almost surreal. It is the duty of the criminal defense lawyer to restore order and sanity to the proceedings for his or her client; to prove the police are not endowed with Godly accuracy in their police reports, to expose the intended impacts of the courtroom for what they were designed to accomplish – the intimidation of everyone that enters the courtroom. The duty of the criminal defense lawyer is to restore confidence in the defense case for their client. One way to do this is for the lawyer to visit the courtroom with the Defendant and point out the archaic origins of this attempt to intimidate… and to help overcome them for the client. The single most important decision you will make in your case is the selection of the right lawyer. You have much at stake and you will require someone who can be straight with you at every stage and who has the ability to analyze your case impartially. The selection should be based on the old adage “trust but verify.” Which lawyer can you trust with your case – your life? This is a difficult task. The internet is crammed full of lawyers claiming to be “pit bulls” or “aggressive.” of course retaining an aggressive lawyer is important. You don’t want a passive trial lawyer. But the truth is this, experienced criminal defense lawyers know that representing a Defendant is much more complex than just being aggressive – it means being smart… clever… strategic..
A lawyer who has had great success – knows when to be aggressive and when to not be aggressive. “Pit Bull” lawyers are held in contempt by most Judges, Juries and Prosecutors. They often obtain the worst results – while convincing their clients that the client is “getting his moneys worth.” These unethical lawyers are plentiful and must be avoided at all costs. 1. Has your lawyer mastered Colorado criminal law? Is your lawyer viewed by the legal community as intelligent, well versed in the law, seasoned, experienced and well respected? 2. Can your lawyer draft persuasive motions or evidenciary briefs on key issues to be decided during the trial? Do they have excellent writing skills that assist the judge? 3. Does your lawyer have good judgement and the kind of patience to slowly analyze the nuances of complex Colorado violent crimes cases? Do they have the years of experience to avoid overreacting to the things that don’t matter and to recognize the things that DO matter? 4. Does your lawyer have the kind of mental “clarity” that enables the advocate to win the case. I call this “forest for the trees” thinking. Young or otherwise inexperienced trial lawyers attempt to win every single battle over every single issue at motions and/or at trial. They then lose the war. This is simply wrong headed. An experienced criminal defense lawyer will know – from prior trials – to pick his or her battles with the goal of winning the war. 5. Does your lawyer have integrity. Is he or she trusted by the Judge, the courtroom staff, the DA, the detectives and police involved. Is there respect that has been earned from years of success in the courtroom? Juries pick up on even the slightest mistrust between and among the parties to a criminal case and the opposite is equally true. 6. Is your lawyer a confident speaker with truly exceptional communication skills in the courtroom? Is he or she so comfortable in court that the skills of a lifetime are plain and obvious to all? When it comes to cross-examination – a truly great trial lawyer will have the right instincts for what questions to ask, the order of those questions and – most importantly – when to strike and strike hard. 7. Does your lawyer have the kind of tough demeanor that commands the respect of all in the courtroom? Does your lawyer dominate the courtroom and control otherwise bullying judges or annoying and overbearing District Attorneys? 8. Finally, does your lawyer control his or her ego? One of my favorites songs by Tim McGraw – “Be Humble and Kind” says it all. Jurors either like a defense lawyer – or they don’t. If the jury does not like your lawyer – you will almost always lose. Trials are all about emotion – the evidence is, believe it or not, secondary. People, especially jurors, instinctively do not trust lawyers at the start of every trial – if, by the end of the trial, your lawyer has not “reached” the jury and encouraged the kind of trust that can only come from honesty and real passion – the lawyer will lose. I speak with a great number of clients who are searching for a new lawyer – believing that may have made the wrong choice in retaining their first lawyer. In almost every instance I encourage these callers to stay with the lawyer they have already retained. I give them advice on how to fix their relationship with their lawyer as it is the confused and frightened Defendant who may again make the wrong decision to “jump ship” all too soon. Most of the time the client’s fears can be assuaged and matters can be worked out over time with better communication between lawyer and client. On the other hand, there are some lawyers who forget their oath and attempt to “game” the system – seeking to grow their firm by retaining many young lawyers intending to create a “volume business.” These founding lawyers bring in the case using their credentials – then hand the matter over to a younger much less experienced associate. Few people seeking a criminal lawyer have the ability to spot a mediocre lawyer or even an incompetent lawyer or to know the difference between the true criminal defense specialist and the lawyer who handles the occasional criminal case. The best lawyers that practice Colorado criminal law know each other. The truly exceptional lawyers work hard and long on every case. They never get rich – they rarely take vacations – and the fees they charge do not often come close to the time they know they will have to put into a serious criminal case to win it. These are the lawyers you want to find. The lawyers who love what they do and who do it well. It is obvious from the moment these lawyers lift the phone and you begin to discuss your case. You hear the confidence and clarity in the conversation that will immediately begin to put you at ease as you discuss the issues of your case. It may take a little work to find these special lawyers. It may take a little digging. But when you identify one of the truly extraordinary criminal defense trial lawyer among the thousands on the internet – you will know it. If you are under investigation or currently being prosecuted for a Colorado violent crime, your Colorado criminal defense lawyer may become the most important person in your life. He or she may know the only road to an acquittal after a jury or judge trial, or the long path to a favorable plea bargain or to persuading the DA to dismiss your case before or just after charges have been filed. Do your homework – it may mean the difference between success and failure.. Good luck. You should be careful to make a responsible choice in selecting a Colorado Criminal Defense Lawyer – and we encourage you to “vet” our firm. Over the last 30 plus years – by focusing ONLY on Colorado criminal law – H. Michael has had the necessary time to commit to the task of constantly updating himself on nearly every area of criminal law, to include Colorado criminal law and procedure and trial and courtroom practice. H. Michael works hard to get his clients the best possible results in and out of the courtroom. 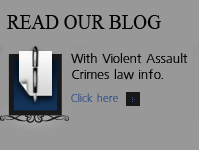 He has written, and continues to write, extensively on Colorado criminal law and he hopes this article helps you in some small way – Colorado Violent Crimes – A Time For Strategy – A Time For Experience. 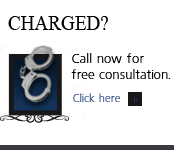 A responsible approach to locating and retaining the best Colorado criminal defense lawyer for your violent crimes case is difficult and at times might be ... quite frankly ...intimidating. This article addresses some of the factors that should help you choose the right lawyer for your case.